Richard Carpenter is in the Purgatorium: a musical lounge caught between the heaven of chart-topping success and the hell of empty celebrity. Haunted by his sister's popularity and death, he tries to go solo, but finds that the world only likes him when he accidentally says something controversial. Quite how much Matthew Floyd Jones is drawing on his experience as the musician in cabaret favourites Frisky and Mannish is unclear, but his talent for mimicking The Carpenters' hits without infringing copyright, and his skill on multiple instruments is put to good use in this witty reflection on life after fame. He never makes Richard a hero – he is petty and self-pitying – and the happy ending is sentimental rather than moving, but his performance does conjure a well-rounded characterisation that has time to ponder how popularity can be destructive. Fans of Frisky and Mannish will enjoy the melodic pastiches, and the clever use of the small venue adds an intimacy and claustrophobia to Richard's plight. This charming story is, of course, not based on the real life of Richard Carpenter (copyright problems forbid this), but it joyfully waves a flag for those forgotten heroes who built success for their collaborators. Underbelly George Square, until 27 Aug (not 15), 5.20pm £10.50–£11.50 (£9.50–£10.50). 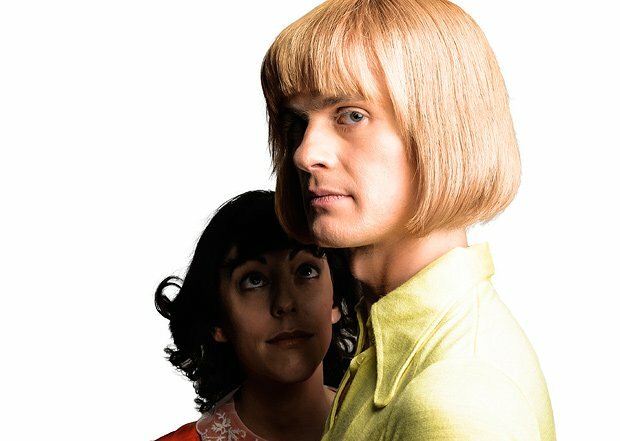 Matthew Floyd Jones takes on Richard Carpenter in a new show exploring the story of one half of the Carpenters.